I came across the most useful and dreadful information today.Useful because I learned something that could make my life easier. Dreadful because I have to do a lot of work before things get easier. 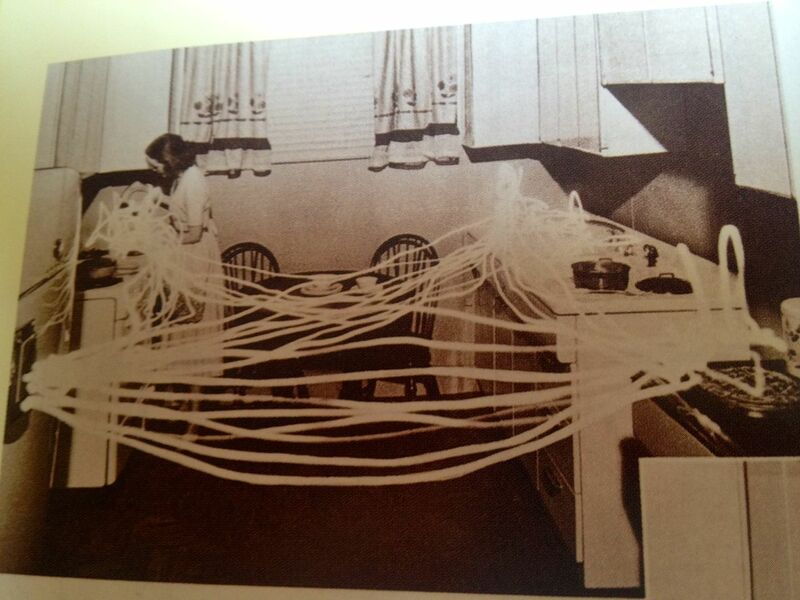 I was flipping through “America’s Kitchens” by Nancy Carlisle and Melinda Talbot Nasardinov, when I saw these photos from the mid 20th century, showing the difference in design between an efficient kitchen and a tiresome one. It was noted by Elna Harwood Wharton in 1915 …”we have to prepare and eat three meals a day, three hundred and sifty-five days a year; one thousand and ninety-five times we handle those dishes twice. Does it not seem important to get this enormous amount of work done with the fewest motions of either feet or hands?” Touché! 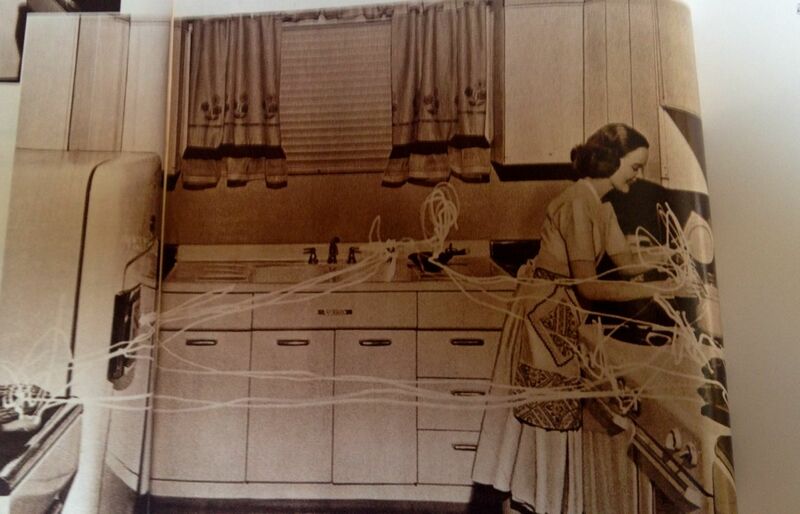 Lights were attached to the wrists of these two women and tracked their motions in the kitchen, with cameras. This one is chaotic. She is criss-crossing and zig-zagging her way through around, poor thing! The lines don’t cross. She moves in a circular, or triangular motion. She looks happy. 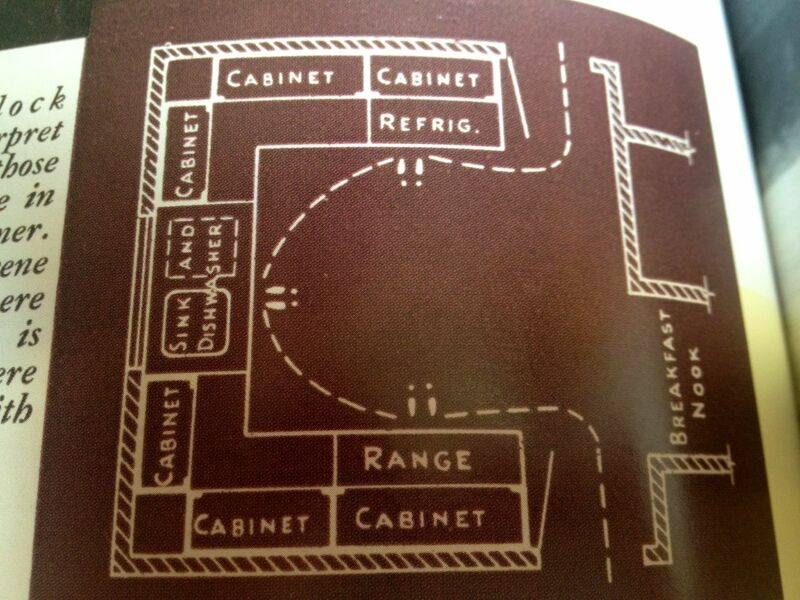 The oven and the stove are quite far apart. I am blocked from making a straight line between them, by the island. 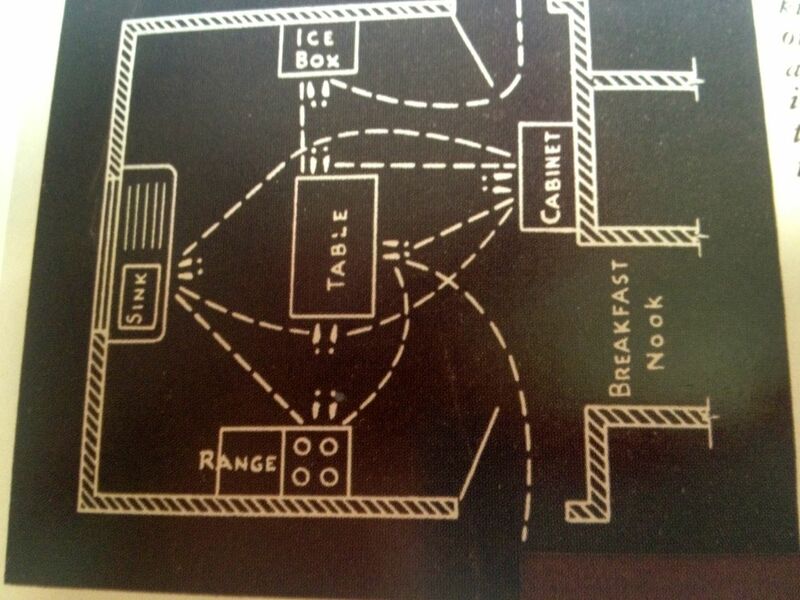 The food storage (pantry and fridge) are lightyears from the stove. 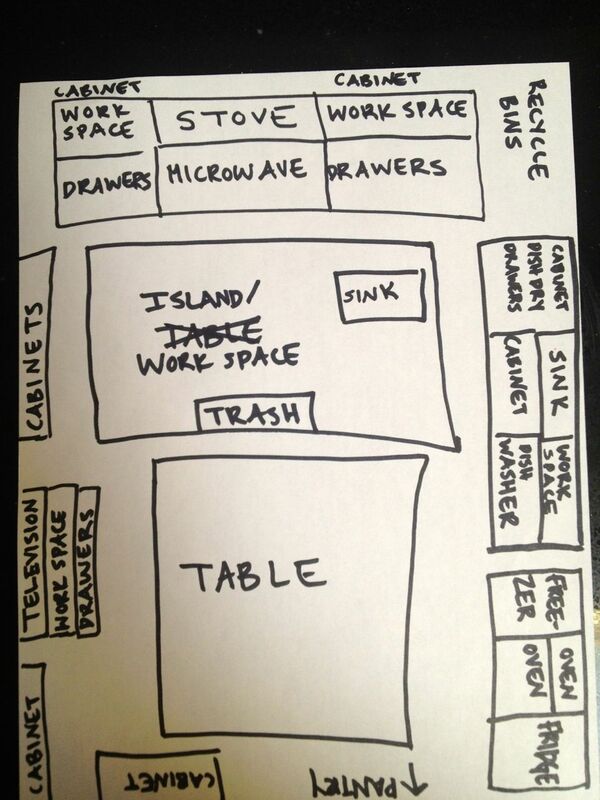 The trash is a leap across the island away from the stove and work spaces. The good thing is you don’t need to exercise after cooking a meal here. You put in the miles just in the cooking of one dish. Don’t get me wrong, it’s a lovely kitchen. But organizationally, it’s a fixer-upper. Yesterday I picked up lamb shanks from the Farm Institute. Their walk-in is incredibly well-stocked with lots of meat of various kinds and cuts. I recommend you islanders check it out. On the menu is braised lamb shank and polenta. My father is picking up chili from the Tisbury Market. Today is Super Bowl Sunday! The Ravens and 49ers will be making tackles on the field, but ’till I’ll be tackling this kitchen, and tracking my steps all over it. I hope to come out unscathed by kick-off time.